Add a full color table cover to an event table for maximum impact! 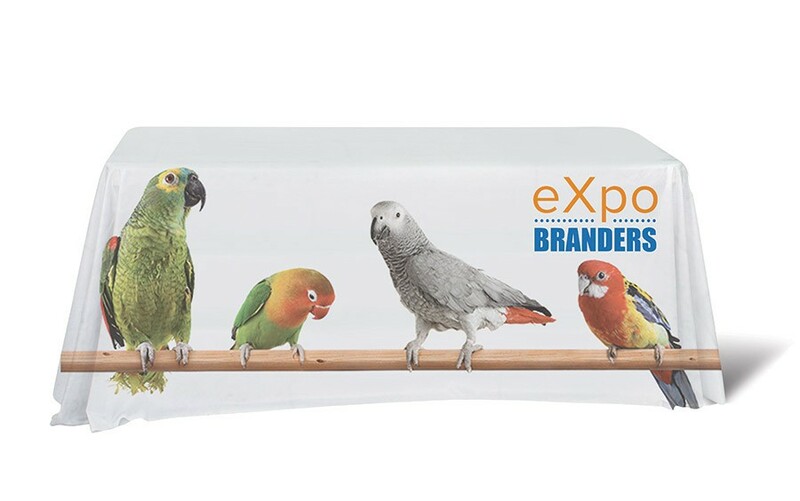 The vibrant colors and crisp graphic image printed on our dye-sublimated fabric will add style and professionalism to any display, while maximizing advertising space. What is the difference between the full back cover and open back?